Food Allergy Series Part 1: Does My Child Have a Food Allergy and If So, What Caused It? Having a child with food allergies can be a life-changing experience both for the child as well as everyone that takes care of him or her. I know first-hand having children in my family with food allergies. It has given me a passion to help children with food allergies through education, patient care, and research. This is the first of a five part series over the next week in which we will discuss food allergies. We will discuss commonly asked questions about food allergies and tips on how to keep your child safe and healthy. I wish we had enough time and blog space to discuss each and every one of the more than 170 foods that have been reported to cause food allergies but since we don’t I hope that the general tips and answers to the many questions that I have been asked by families like yours over the years will be helpful to you. Thanks so much for reading. I would love to hear your stories, questions, and comments! A food allergy is a reaction in which one’s immune system thinks of a particular food as a foreign invader. 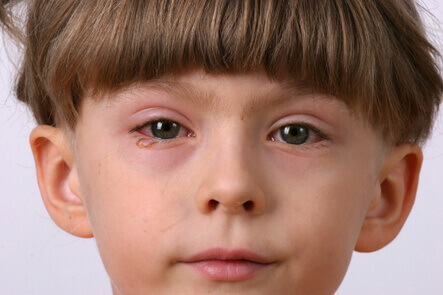 Typical symptoms include itchy red skin, coughing, vomiting, sneezing, and watery red eyes. These symptoms are pathways that the body uses to try and remove the food allergen from the body (with vomiting is the most clear example of how your body expels the food allergen from the body). Typical allergic reactions occur within minutes to an hour upon exposure to the food. The definition of a food allergy is an adverse reaction mediated by the immune system that occurs reproducibly upon exposure to the food. However, it is sometimes difficult to tell if your child has a food allergy or not. For instance, some people who eat or drink milk products then develop bloating and gas. This may be because they cannot break down a sugar in milk products called lactose. In such a case, the bacteria in the gut ferment this sugar and cause gas and bloating. This condition is known as lactose intolerance. Lactose intolerance is not considered a food allergy but rather a food intolerance. It can be helped with products such as Lactaid, an enzyme that breaks down lactose in your body, which can be taken before you eat or drink milk products to prevent symptoms. If you are not sure if your child has a food allergy, it is best to talk to your child’s pediatrician. He or she can also refer your child to an allergist for testing. The most important way in which a food allergy is diagnosed is by your child’s history. If the history is consistent with food allergy, your doctor may order allergy skin and/or blood tests to confirm the allergy. If there is doubt about whether the symptoms represent food allergy or not, then a food challenge may be performed. If your child has a food allergy, it is important that your child be seen by a board certified allergist for consultation and at least yearly follow-up appointments. It is estimated that up to 8% of children and up to 3-4% of adults have food allergies. Milk, soy, wheat, eggs, peanuts, tree nuts, fish, and shellfish cause over 90% of all food allergies. However over 170 foods have been reported in the literature to cause food allergic reactions. What caused my child’s food allergy? A combination of genetic and environmental factors. It is estimated that children who are born to parents who have allergies are 60% likely to develop some kind of allergy, whether it be eczema, hayfever, food allergies, or allergic asthma. If only one parent is affected, the child has a 40% risk of being allergic. Furthermore, in identical twins, if one is allergic to peanut, the other twin has a 67% chance of also being allergic. In siblings, if one sibling is allergic to peanut, the other sibling has a 7% risk. One of the environmental factors hypothesized to affect the development of allergies is an environment that is “too clean.” This “hygiene hypothesis” posits that when the child’s environment is too clean, the immune system doesn’t have enough “work” to do and it may cause the immune system to skew towards an allergic predisposition since there are very few viruses and parasites to attack. There are many theories as to why food allergies are on the rise, but we do not know with 100% certainty why the number of children with food allergies is increasing. Dr. Grace Yu is a pediatrician and allergist immunologist who has conducted ground-breaking research to help children with life-threatening food allergies. 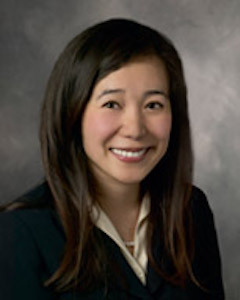 She cares for patients at the Palo Alto Medical Foundation and serves as an adjunct Clinical Faculty Member at Stanford University School of Medicine. In Dr Greene’s “Guide to Starting Solids” he says “Don’t Wait 3-5 days in between foods”. I started solids with my 7 month old a few wks ago and have tried a variety of foods. I believe that he might have an allergy or sensitivity to egg. How can I know if I am trying all kinds of foods all at once? If you think he’s having an egg allergy, eliminate eggs and see if that does the trick. If it doesn’t, eliminate the next likely culprit. This method is a little harder than if you do it the other way around (only add one new food at a time), but most kids aren’t allergic or sensitive and you can expose him to a lot more flavors during the best window for learning to love a variety of foods and will be less likely to have a picky eater.